Detailed review of CRI Naturals Act Biotics. 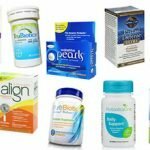 See how this probiotic supplement compares against all the others! Overall, at 3 out of 5 stars, CRI Naturals Act Biotics is a slightly average probiotic. It definitely has some things I like about it but also things I don’t like. I like that this probiotic is really allergy friendly. It doesn’t contain any starch, wheat, gluten, soy, milk, egg, or shellfish. The directions say to take 1 capsule daily, preferably with a meal. 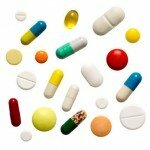 The capsules are much smaller than average and were easy to swallow. A special bonus is that the capsules are vegetarian and vegan. As the company name suggests, these capsules are also more natural and don’t contain preservatives or junk ingredients that can sometimes be found in other supplements. This probiotic also uses a patented DRcaps® formula that dissolves 45 minutes after swallowing, which helps the probiotics stay alive and survive stomach acid. This probiotic goes a little overboard with the strains and cells. It also uses 2 probiotic strains that I’m not a fan of, both which may result in side effects in some people. Act Biotics is incredibly expensive and works out to almost $45 for a 1-month supply. This probiotic isn’t safe for kids and it’s recommended only for adults 18 years and older. Last, I would’ve liked to see some more relief from my IBS symptoms while taking this probiotic. Overall, at 3 out of 5 stars, CRI Naturals Act Biotics is a slightly above average probiotic because it’s suitable for vegetarians and vegans, is allergy friendly, and uses a special delivery system, but isn’t safe for kids, is expensive, and goes overboard with the strains and cells. 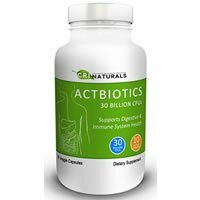 CRI Naturals Act Biotics contains 30 billion cells in 10 probiotic strains. 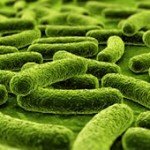 This particular strain is used quite commonly in many probiotic supplements and has been well researched. Lactobacillus acidophilus has been researched to show potential relief from the symptoms that come along with gut dysbiosis, Crohn’s disease, and Irritable Bowel Syndrome (IBS). This includes relief from gas, bloating, and constipation. This strain may also help prevent traveler’s diarrhea, boost immune function, treat yeast infections, and lower the occurrences of urinary tract infections (UTIs). CRI Naturals Act Biotics uses 2 different strains that I’m not a fan of. One strain I don’t like is Bacillus coagulans. I don’t like this strain because it can create spores in the body, which can lead to side effects in some individuals. The second strain is Lactobacillus casei. CRI Naturals Act Biotics seems to be really allergy friendly. It’s free of: salt, starch, wheat, gluten, soy, milk, egg, shellfish, and preservatives. 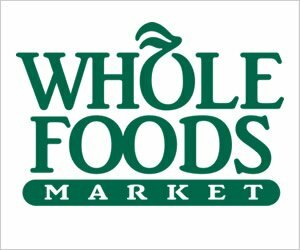 As a perk, it’s also vegetarian, vegan, and non-GMO. The other ingredients include: vegetable cellulose (DRcaps®), low moisture rice dextrin, and medium chain triglycerides. For 30 capsules, lasting 1 month, the grand total ends up being $44.94 ($38.99 + $5.95 shipping). When you break it down, that works out to be $1.49 a day to take this probiotic. Even though I think this product is slightly above average, I don’t think it’s the best value for the price. I don’t think I’d buy this product again based on the hefty price tag. I was (pleasantly) surprised that I didn’t see any negative side effects while taking this probiotic. It’s definitely potent with 30 billion CFU and 10 different strains. Although I didn’t see any side effects, if you have a sensitive stomach you may want to be careful. Sometimes you can experience belly pain, gas, and bloating when taking a more potent probiotic. CRI Naturals offers a 90-day money back guarantee on for Act Biotics. If for any reason you aren’t happy with the product or don’t see the results you expected, just ship the remaining product back and they will give you a 100% refund. I love seeing guarantees like this! To buy CRI Naturals Act Biotics, click here.